Leon Cmielewski is an artist, animator and designer and has worked in both print design and broadcast television design. His animation has been wideley screened around the world, including the London International Film Festival; Tampere, Finland; Annecy, France; & Aspen Shortsfest, USA. 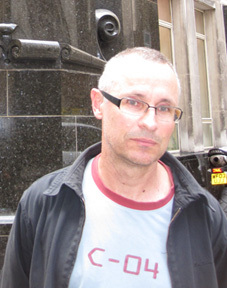 Leon is Senior Lecturer in the School of Communications Arts at the University of Western Sydney and is a past recipient of a New Media Art Fellowship from the Australia Council.